The next application period for the Digital Solitude fellowships in 2017 starts on May 1 and runs until June 30, 2016. The program is intended for young journalists, developers/coders, designers, as well as artists and all other creatives and professionals who work on the development of new digital content and formats. Young professionals who have an interest in the content of the international artist-in-residence program Akademie Schloss Solitude and its interdisciplinary network can apply for a fellowship. As part of the Digital Solitude program, each year Akademie Schloss Solitude will be awarding a total of 24 months of fellowships to two to four people in 2016 and 2017. The fellowship program is intended for journalists, developers/coders, designers, as well as artists and all other creatives and professionals who work on the development of new digital content and formats. There is a special focus on digital projects in journalism, storytelling as well as in arts and cultural communication. Young professionals who have an interest in the content of Akademie Schloss Solitude and its interdisciplinary network and are also pursuing independent digital projects can apply for a fellowship. The program will offer them the space and flexibility to develop new ideas and formats, which will be published on or in connection with the online platform Schlosspost, a content focused online platform in English for the Solitude network. The website is simultaneously an online magazine and artist portfolio and is aimed at a global audience of young artists and those interested in the arts. The age limit for applicants is 35. However, some fellowships will be awarded irrespective of the age of the applicant. Students are not eligible. Fellows of this program are not bound to the standard residency requirement of spending at least two-thirds of their residency at Akademie Schloss Solitude. The fellowship includes a grant of 1,150 Euros a month (plus a one-time grant for travel costs for the journey to and from Stuttgart from the fellow’s primary place of residence) and a combined apartment/studio, where electricity, water, and heating will be provided free of charge. The application period for fellowships in 2017 starts on May 1 and runs until June 30, 2016. The jurors base their decisions on the qualitative aspects of work samples submitted by the applicants. There is no legal entitlement to the allocation of a fellowship. The applicant will be informed of the jury’s decision in August/September 2016. The Jury members of this year’s fellowships selection for the Digital Solitude program are: Clara Herrmann, coordinator Digital Solitude program (Stuttgart/Germany), Alessandro Mininno, web advisor (Milan/Italy), and Bruce Sterling, author and journalist (Turin/Italy). Please find all further information in the application form, which can be downloaded here. Schlosspost also awards the micro-grant »Web Residency« (500 USD). We also encourage applicants for the Web Residencies or already awarded Web Residents to apply for the Digital Solitude fellowship program and vice versa. Fellows awarded with a Digital Solitude fellowship are not eligible for the regular fellowships for which the application period will run from September 1, 2016 to November 30, 2016. For further information on Schlosspost, sign up for the newsletter. 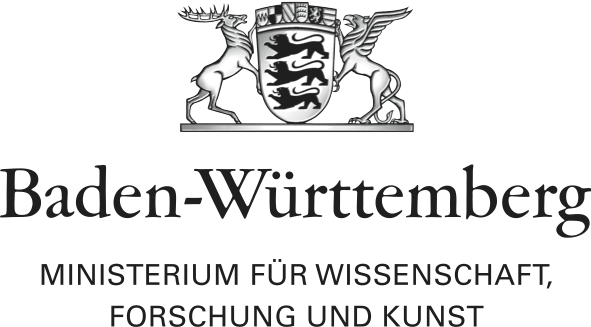 The Digital Solitude program with its fellowships and the online platform Schlosspost are supported by the State Ministry of Baden-Wuerttemberg for Science, Research and the Arts. Elisabeth Weydt, fellow for digital journalism, gives an insight into where her passion for stories started and new ways to tell them through digital journalism. »Journalism is already dark, but we were the most evil.« The Berlin Internet agency and web artists Netro will join the Solitude network in 2016. In an interview, Jean-Baptiste Joly, director of Akademie Schloss Solitude, talks about the Akademie’s biggest changes and the new online fellowship program planned for 2016.